Austin’s South by Southwest, or SXSW, began as a music, film and tech conference but has become a popular stop for left-of-center politicos. This year, Democratic presidential candidates Sens. Elizabeth Warren and Amy Klobuchar and former Housing and Urban Development Secretary Julián Castro all spoke, and soon-to-be White House hopeful Robert Francis O’Rourke premiered a documentary. 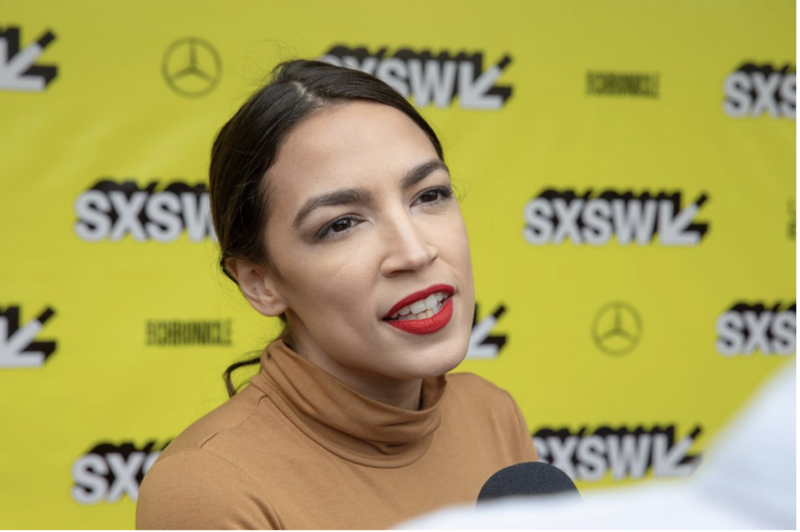 But SXSW’s 2019 rock star was Rep. Alexandria Ocasio-Cortez, who filled 3,200 seats in the Convention Center Saturday. Notably, the Green New Deal advocate didn’t arrive in a Prius or on one of the ubiquitous scooters that clog Austin’s streets during the festival. She came instead in a gas-guzzling SUV. Interviewed by Briahna Gray of the Intercept, a left-wing news site, Ms. Ocasio-Cortez’s attacks on racism and capitalism and pleas on behalf of “everyday working people” were applauded by the attendees, who paid between $1,325 and $1,650 for their “primary access to ALL events” passes. She and Ms. Gray agreed that Mr. Trump is a racist, of course. But so was President Reagan, who in 1976 criticized a Chicago woman for bilking the welfare system for $150,000 a year. That attack was “rooted in racism,” according to Ms. Ocasio-Cortez, even though the woman in question was white. According to Ms. Ocasio-Cortez, the New Deal “allowed white Americans to have access to home loans that black and brown Americans did not have access to.” By doing so, it “accelerated . . . a really horrific racial wealth gap that persists today.” Yet studies show that FDR’s Home Owners’ Loan Corp. did not discriminate against African-Americans, and the gap between black and white homeownership remained around 20% from 1900 to 1990, though ownership levels increased for both groups. This attack on FDR exhibited another theme of Ms. Ocasio-Cortez’s appearance—the ubiquity of conspiracy. Just as FDR’s New Deal secretly discriminated against “black and brown Americans,” dangerous forces are subverting our country today. Our economic system is also “based on scarcity,” which corporations have made “artificial.” So “we are driven to work 80 hours a week when we are being the most productive at any point in American history.” If the profits weren’t “skimmed off and given to a billionaire,” we would “be working the least amount we’ve ever worked”—Marx’s promise of old. The crowd applauded as she excoriated the 540 American billionaires who stole our money. Ms. Ocasio-Cortez implied that Democratic colleagues who oppose her are both cowards and hypocrites, complaining, “No one’s ever said to me, ‘I’ve got these really big donors and to be honest with you, this is why I can’t do that.’ ” How lonely to be that rare righteous member of Congress! Ms. Ocasio-Cortez offered grace notes that explain her appeal, as when she urged the audience to work toward “ambitious acts of vision,” saying, “We are capable of so much as a country.” But these were few in her more than hourlong interview spent bludgeoning America, its values, history, leaders and accomplishments. That was what the SXSW crowd wanted. It will be far less attractive to the rest of America. Copyright @ 2019 Karl Rove & Co.